The emicro one is one of the lightest, most compact electric scooters in the world. An awe-inspiring feat of engineering that takes electric scooters from being big, bulky and noisy to streamlined, sleek and sublime. The ultimate Personal Electric Transportation Device (PETD). We interview Gian Zimmerman one of Micro’s engineers who worked on the project. Q: What makes the emicro one different from other electric scooters? “It’s lightweight with compact dimensions and cable free motion-control steering. The emicro one creates a completely a new product category between everyday kick scooters and heavy and bulky electric scooters”. Q Why did Micro want to product their first electric scooter? 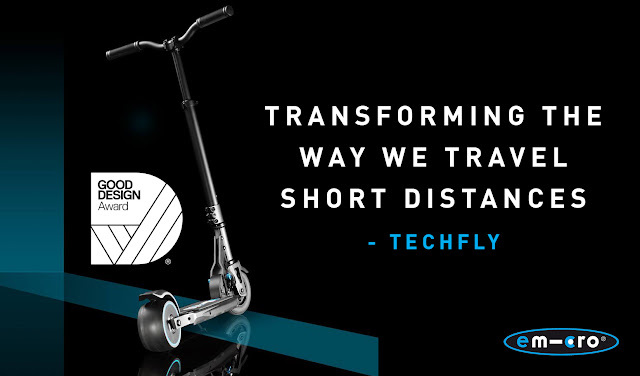 “We always wanted to go beyond the core business of childen’s scooters and make high-end urban mobility gadgets. There is a large demand for fast, fun and pollution-free short distance transport in urban areas. Crowded buses and trains and rush-hour traffic jams make people think of different means of transportation. Q: How long from initial concept to first production did the emicro one project take? How many people were involved? “The project started in 2012 when students approached Micro inventor Wim Ouboter with their first prototype of an electric scooter, he was overwhelmed by the performance and motion-control. The first prototypes where built from scratch in Switzerland and lots of parts where made in 3D prototyping. In a second stage we had to source suitable suppliers for the product. The assessment of the prospective suppliers and establishment of a proper supply chain for production took almost 3 years. You have to imagine it was a challenging new field for a small company like us and we had to grow ourselves to be confident with the technology”. First prototype of the emicro on the right to the finished article on the left. Q; What were the challenges about creating the emicro one? “It’s the compromise between weight and power that makes this project more challenging than others. Weight has always had our top priority on the emicro one. Obviously it is easier to put more power in big and heavy scooter. Thanks to our motor control specialist we can get absolute maximum power from our small electric motor making it far more efficient than comparable electric scooters. Our motor control experts were the best of the best – as well as working us on the emicro one they also worked on motor control software for high-tech projects like Solar-Impulse and the Swiss solar airplane. But more power results in higher speeds and results in higher constraints of mechanical components. 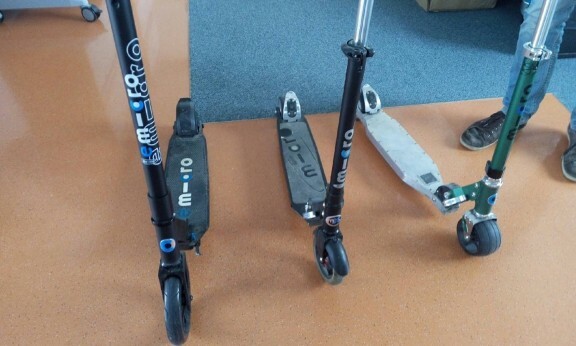 In the end, the challenge is to handle this higher forces on the scooter without increasing the weight of the product too much”. Q: What’s the biggest thing you’ve learned during the project? “I think it is very important to take the time to choose the very best partners. Product management with a highly outsourced production requires intensive communication between the parties. Communication is key”. Q:What do you think the emicro one will help people do? 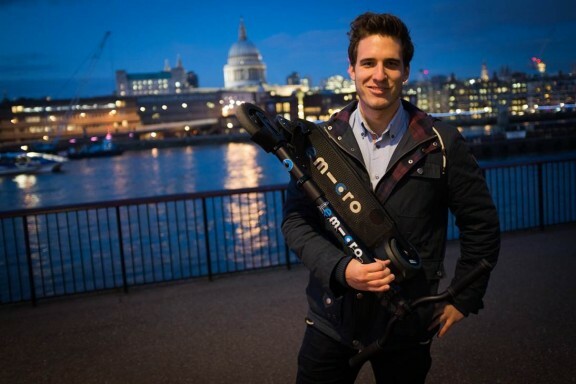 “Navigating with the emicro one in cities is so much fun! I don’t know any means of transportation that is fun and fast and also compatible with other ways of transport. A foldable bike is too bulky for many trains and not too much fun to ride. An e-bike is fast and fun to ride but when it starts to rain you are lost”.